The world's ATM machines will soon face a major issue on April 8th: The end of support for their operating system. According to BusinessWeek, 95 percent of active ATMs in the world, or nearly all of the 420,000 currently operating in the United States, run on Windows XP - a system which Microsoft is officially ending support for in under 90 days. 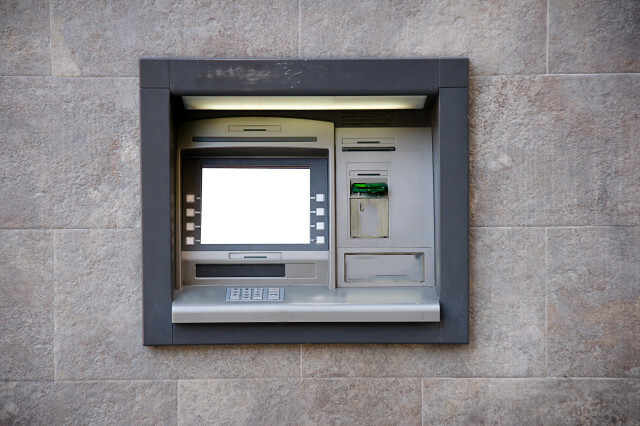 Despite being one of the most frequently used consumer technologies in the world, many ATMs run on outdated operating systems. and with the April 8th deadline looming, their owners must make the upgrade. But this may be easier said than done for many of the machines, which run on outdated hardware that may struggle to keep up with a newer OS, like Windows 7. According to Suzanne Cluckey, the editor of ATM Marketplace, "A lot of ATMs will have to either have their components upgraded or be discarded altogether and sold into the aftermarket—or just junked." The machines that aren't promptly upgraded could face significant security vulnerabilities as more and more weak points in the OS are uncovered. And while Microsoft promised to continue support for Microsoft Security Essentials until 2015, the operating system as a whole will still lack regular security patches - something which could end badly for the machines which thousands deposit cash into every day. Small shops which lack the resources available to larger businesses would be hit the hardest, as they're the slowest to change. And while consumers are protected under industry protections, those operating the machines will be hit the hardest by any malicious attacks. Hopefully ATM operators will heed these warnings and upgrade as soon as possible: The malware infection rate for Windows XP is already almost six times higher than Windows 8 systems, and despite pleas from the Chinese government for Microsoft to continue support, and a warning to the Indian banking industry that details 'major risks' if they don't switch operating systems, those less than tech-savvy operators may still see their ATMs face a significant threat.